Technology has done wonders for improving the security of people, organisations and assets, and it has also done wonders for criminals looking to inflict damage to the same. The problem with electronics is that those devices that communicate with a server or a control room were designed to secure people and assets, but until recently weren’t designed to be secure. And let’s be honest, even today there are many devices that pay lip service to security while offering very little in reality. In the world of access and identity management, some may ask why it would be a big deal if something as simple as a card reader on a door gets hacked? Or if we go further afield, why would it matter if a security camera gets hacked and bad guys see your parking lot or the reception to your offices? Apart from the inconvenience, those are not sensitive areas so it may not seem like a big deal. A common belief is that, at worst, the criminals can break a reader so people can’t log in. But what if a criminal uses the hacked reader to gain access to your building after hours? If your reader is online and offline, that means everyone with access is stored on the reader and the database can be stolen. What if a criminal gang is monitoring your parking area and other parts of your business premises to find out the guard tour schedule or how many guards are onsite after hours? That’s a bit more serious. The real danger in these scenarios is the connectivity. Once a device is hacked, the criminal is on your network and the possibility exists that, with a bit of patience and assistance from the thousands of hacking tools available on the Internet, they can gain access to servers and other digital areas of the business. If they gain access to payroll and the relevant logins, they also have access to your bank accounts. In addition, with so many devices being connected to the Internet today, your hacked device may be infected with malware and become part of a botnet – a global network of infected machines that can be used to launch online attacks against anyone. So your infected reader now becomes more than an inconvenience. Cybersecurity has become a reality for the physical security industry over the past year or two, and will become even more of an issue as the Internet of Things (IoT) grows. We will soon have billions of small devices with supposedly limited functionality vulnerable to attack. The original intent of these devices is not important, their ability to communicate unhindered over networks and the Internet is. If one looks at the bad press Hikvision has received over supposed backdoors into its surveillance equipment you can easily see the brand damage being cyber insecure can cause. Hikvision seems to be a target for bad cybersecurity press these days, but the fact is there are no surveillance vendors that have not had vulnerabilities in their equipment – no matter which country they are manufactured in. But what about the access control industry? Have we seen companies providing hardware, software and services related to access and identity adopting a stronger cybersecurity posture? Moreover, is it really necessary if your access control systems are all located within your building? HID Global’s Jaroslav Barton says that modern access control systems are not discrete products any longer. “They can be interconnected with other security systems, they can use and share data from IT systems, and access control data is increasingly moving to the cloud. Tim Timmins from G4S Secure Solutions (SA) states quite simply, “All systems are under fire in this age of cyber attacks and there are various ways that solutions are trying to combat these attacks. One of our main approaches is edge encryption and decryption. “This means we encode our message before sending it to the recipient and the recipient has the capability to decode and understand the message. Intercepted messages would thus not mean anything to the application or person that intercepted that message and it would be useless information. From the HID perspective, Barton says the most vulnerable part of any access control system is the RFID identification. RFID has been used in access control for more than 25 years. “With the development of electronic and computer technologies, the early RFID technologies that used to be very secure decades ago cannot provide sufficient security today. Contactless smartcards introduced later with secured data storage and encrypted communication was a massive step forward. Vink adds that for those systems relying on an organisation’s back-end IT infrastructure should leverage global IT standards in protecting their access control systems as well. For example, changing default passwords, ensuring that there are no network points outside the physical building, making sure the server is suitably protected with the necessary firewalls and virus protection, and so on. In the case of Impro, she says the company uses global IT protocols as standard, and adds additional layers. The management software operates on HTTPS and there is a directory-based authentication model for the software, which is coupled with an additional layer of operator security. In addition, Impro is launching new encrypted solutions using TLS (Transport Layer Security), which further enhances network security. The current trend to using smartphones for access control by including a credential on the device has proven a success. However, mobile devices are not restricted to only access control and are carried with the owner wherever they go, adding another potential security headache. Depending on how mobile phones are used for mobile access, Barton says this technology can be very secure or quite insecure. Some solutions use simple card serial number (UID) emulation on a smartphone which obviously doesn’t meet basic security requirements. UID is unencrypted and can be copied and the credential cloned as easy as it can be done with cards that use UID as an identifier. Another one of the growth areas in access control is supplying the access control functionality as a service – Access Control as a Service (ACaaS). In these scenarios, one’s access control system is managed by another company and you could even have the databases and applications residing in the cloud, which brings its own cybersecurity issues. Vink expands on this, noting there are a number of standards to follow depending on the cloud model. Many access control vendors simply move their system into a hosted environment, with a secure gateway device managing the communication between the premises and the cloud. This does provide acceptable levels of security for installations where IT governance is not a business priority, but can be a costly solution. What’s happening in the real world? In theory there are many ways to ensure your access control systems are cyber secure, but are vendors making the effort to implement these theories in the real world? While we can’t speak for everyone offering access control products and services, we can ask our interviewees what their companies are doing in this area. “At HID Global, we apply an holistic approach to information security by considering all threat vectors and aspects,” explains Barton. “We use industry best practice guidelines, frameworks, and standards. 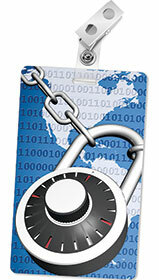 All our solutions consist of multiple layers of security and are based on Seos credential technology. Finally, Vink adds that Impro promotes global best practices from the IT sector, since these are without a doubt at the forefront of cybersecurity. A majority of businesses that use IoT technology agree that it has either disrupted their industry or will do so in the next five years. Milestone Systems introduces Milestone Marketplace, a digital platform for the video technology industry that connects buyers and sellers to co-create solutions.